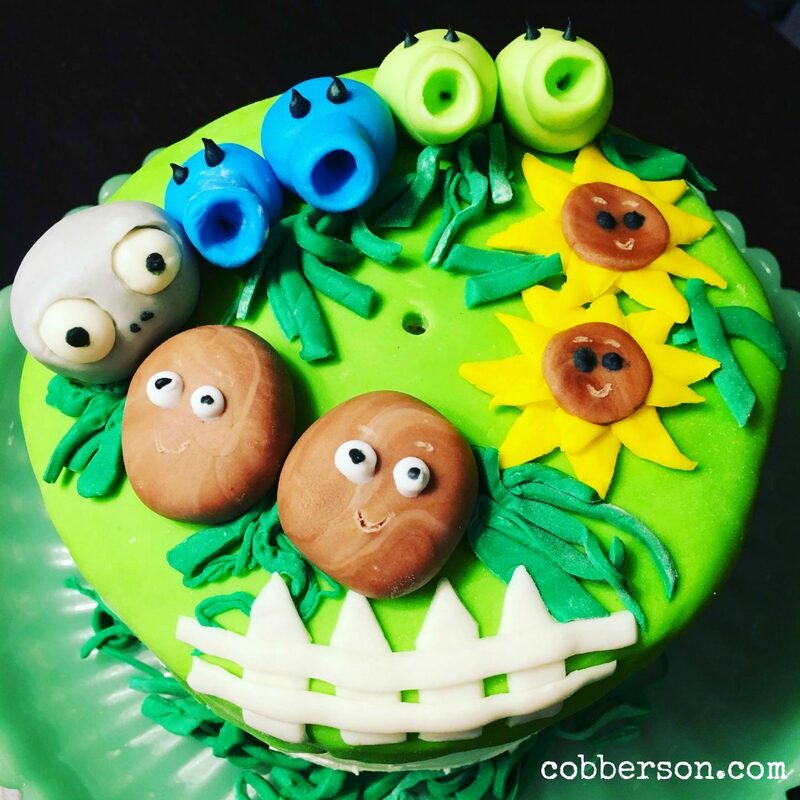 Plants vs. Zombies, cake edition | Cobberson + Co.
Last weekend, my older son L had a Plants vs. Zombies birthday party, and every year I make a fun themed cake. 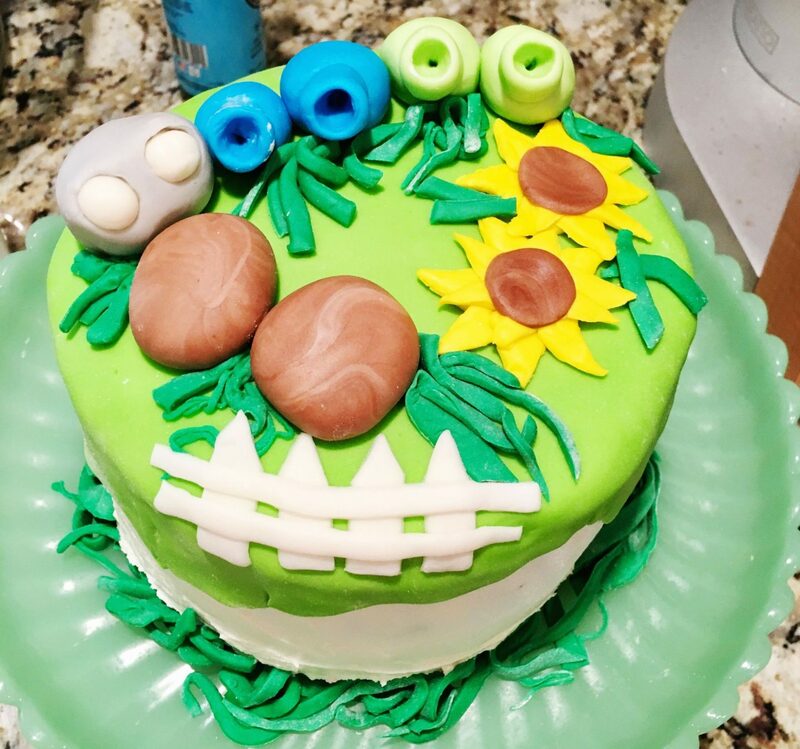 Since I only make time to attempt a fancy fondant cake twice a year for the kids, I try to do something each time that allows me to try a new technique (and usually buy a new decorating tool). 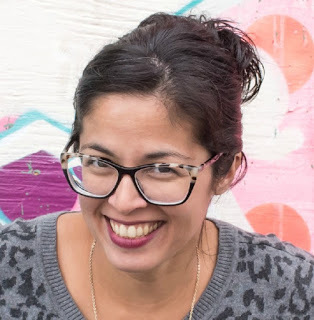 In past years, I either baked my own cake, frosted it in buttercream, and then used fondant cutouts to lay on top, or bought a Costco cake (iced by them in one solid color) and then decorated it myself at home. This year, I really wanted to do the whole thing myself and do a full on fondant cake. Realistically, making a legit fondant cake for the number of people coming to the party (our family is huge) wasn’t going to happen, so I ended up making a fun dirt cake for the group, and a little 6″ fondant cake just for the four of us. I found this galvanized metal bucket at Michael’s 50% off (I think it was $12) – how could I resist? I lined it with foil for easy clean up (and obviously, the bucket isn’t made to be food safe) and improvised the recipe. 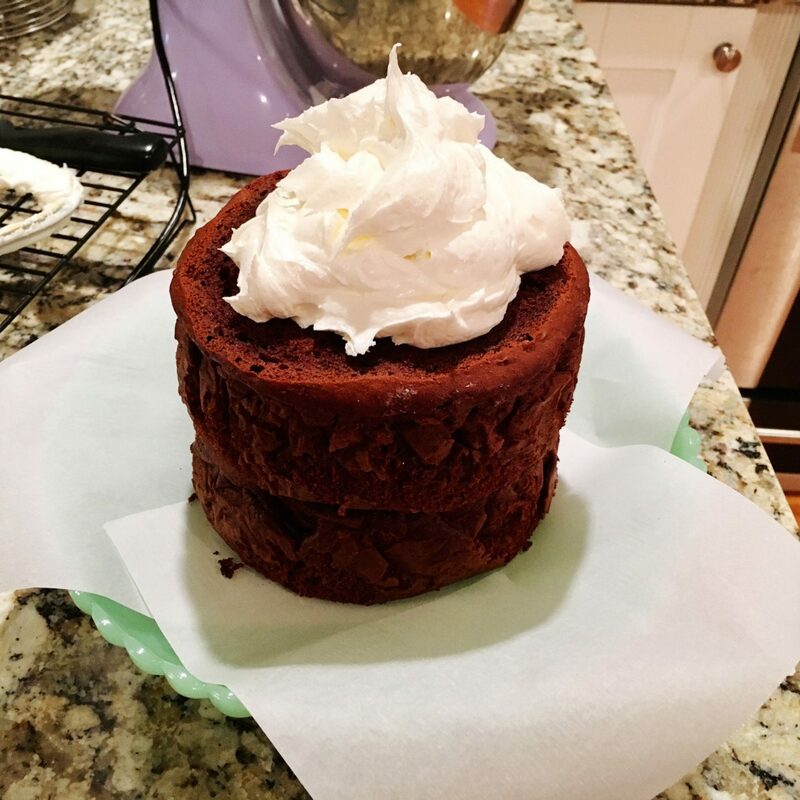 Everything I found on Pinterest involved cream cheese and a lot of reviewers saying the cakes were way too sweet because of recipes adding extra sugar. The cake you see here is 2 packages of Oreos that have been ground up in the food processor, 3 large boxes of vanilla instant Jello (prepared with 1/4 less milk than the directions call for), and 2 tubs of Cool Whip. After preparing the Jello, whisk in the Cool Whip (Pinterest recipes say to thaw it out first, but I didn’t and it was fine). Then just layer crumbs and Jello. That’s it. 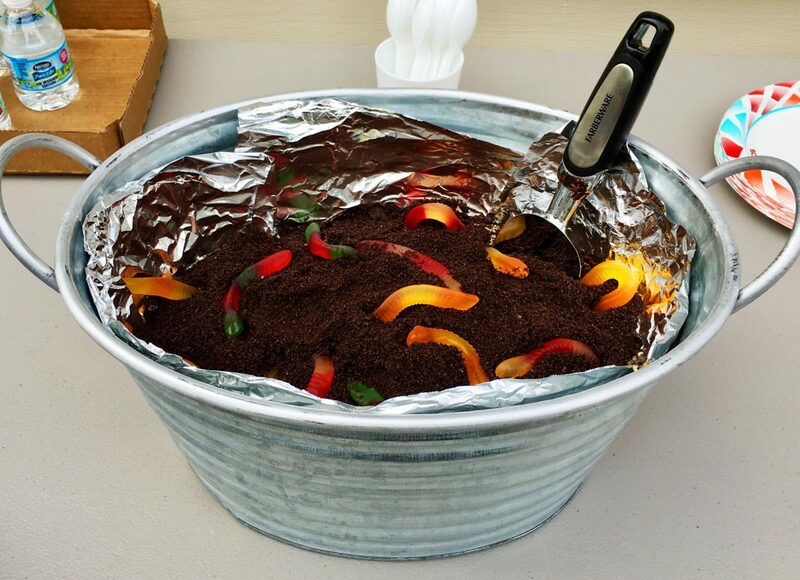 Throw some Gummi Worms in there and use your ice cream spade (yes, that’s real thing that we registered for back in the day. For serious ice creaming. Similar one here .) to serve. 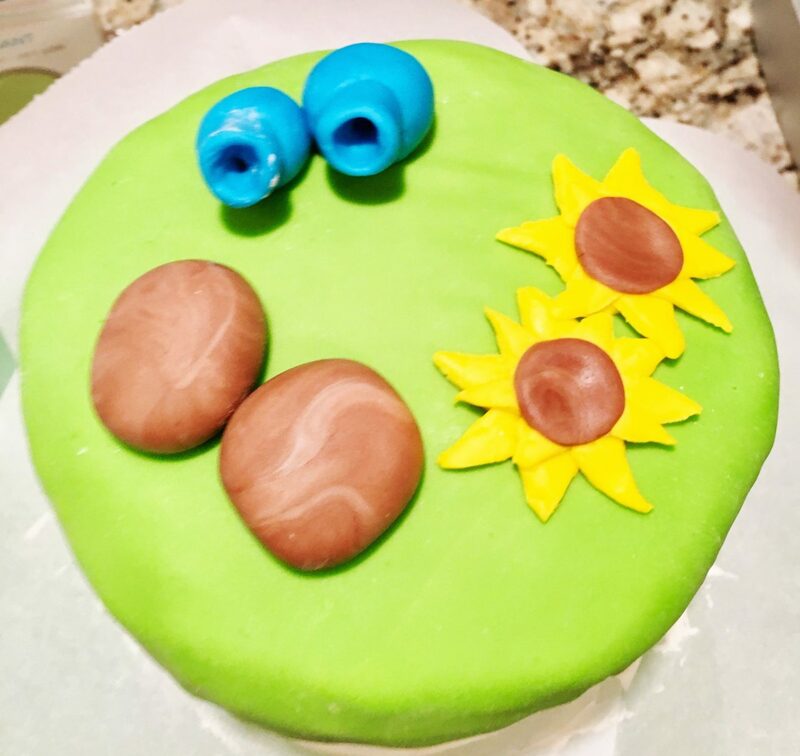 For the fondant cake, I found some great inspiration on Pinterest. I really liked everything about this cake made by Jenna at Cranberry Corner, and the skull from this cake by Zoe and Pea, so I put them together. I tried a different brand than last year. In previous years, I made my own marshmallow fondant using this recipe, and tried both the Cake Boss brand and Wilton. The marshmallow fondant was really good, but time consuming; Cake Boss had good flavor, but was rather stiff when working with it; Wilton was easy to work with and the flavor is good, but the packages were too big for what I needed. This time I tried Sweetshop brand because I needed a ton of colors, but only a small amount of each color. 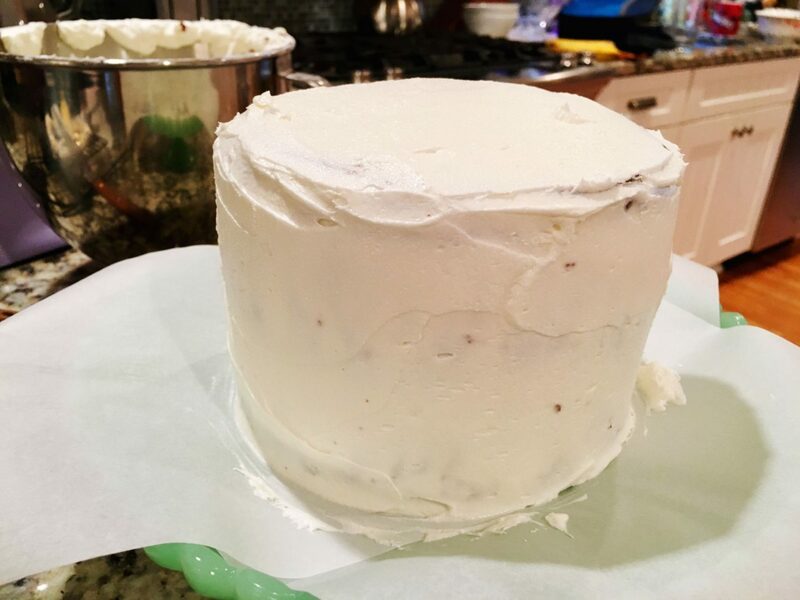 Colors were very nice, but the fondant itself was hard on top right out of the package, and the flavor was just ok.
Crumb coat using this super simple and delicious buttercream recipe. Not sure why this picture is blurry. .Getting closer. Random discovery – that weird tool that’s used for getting walnuts out of shells is the perfect size and shape for molding those little tube shapes on the plants. Previous Post *NEW* Handmade as F*ck gift tags now available!